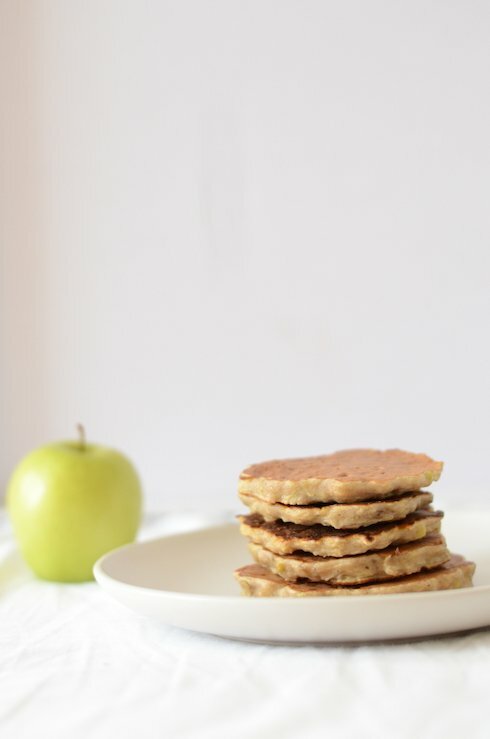 I am guilty of eating these banana and apple pancakes alongside my baby (now toddler). They taste so sweet, you wouldn’t say they have no sugar. Or that they are baby food (whatever that means?!). The sweeter the apple and banana, the sweeter the end result. 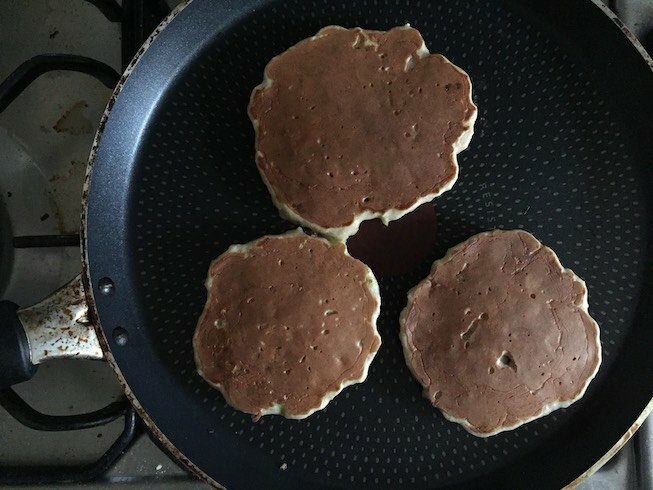 What you will need for this pancake recipe is a grater and a non-stick pan. Time to invest in these things if you haven’t already. You’ll be using the pan quite a lot for pancakes, omlettes and fried eggs. Yes, I am doing omlettes and fried eggs in a non-stick pan. No oil or butter. Never looked back since. Let’s see how the process is going. Excuse my badly lit photos of the making-of. The northern hemisphere in winter is food photography’s deadliest enemy. 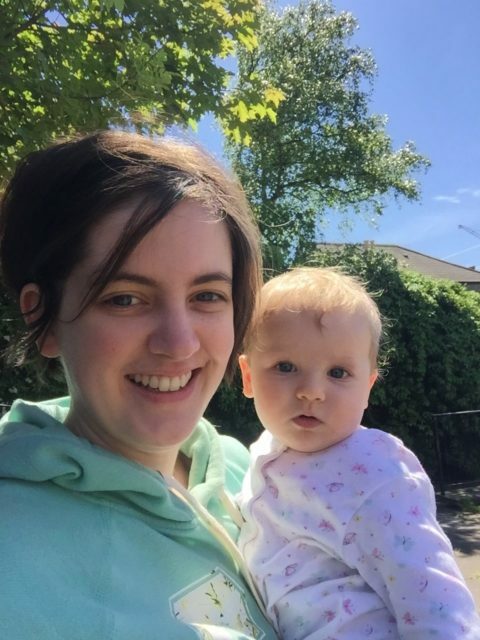 You either cook in the middle of the day (with a toddler and a newborn baby, that’s impossible) or you don’t cook at all (again, not an option, unless you want to be screamed at). These are all the ingredients you need. Now, the cinnamon I am using is the normal one (called Cassia) you can find in most supermarkets and shops. However, I have heard that if consumed in small quantities several times per week can become toxic due to the levels of coumarin. The organic cinnamon, called Ceylon, is the healthier option (everything has a healthier option nowadays, don’t you think?….*sigh*). It’s your choice, but my next Amazon order will include some cinnamon. Oh well, I am going to be the talk of the warehouse. This is how you mix the ingredients. 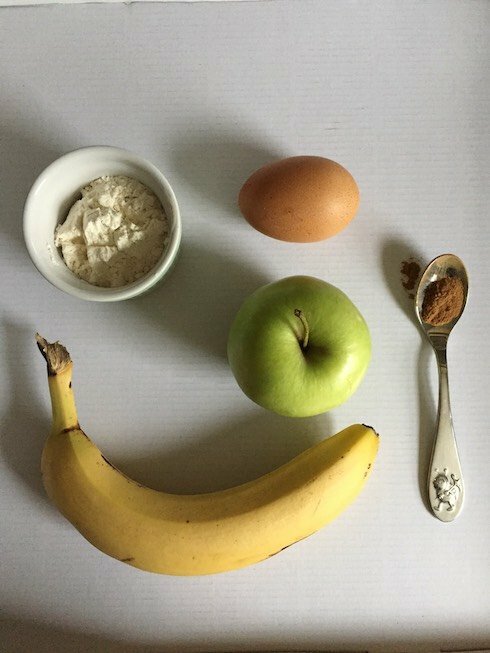 The flour with the cinnamon, the egg with the grated apple (use the bigger side of the grater and squeeze the grated apple so that it won’t be as moist in the final batter) and the banana. Basically, the dry with the dry, the wet with the wet. When you bring it all together in the next step, it looks like this. 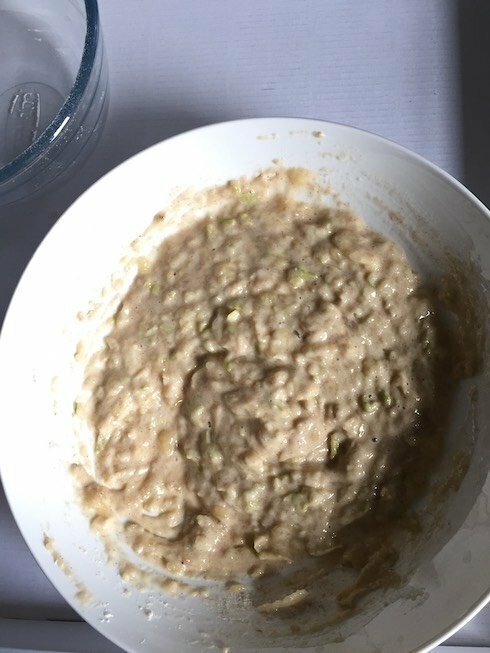 Not very appealing, but this is not cookie dough, people. (Still, don’t eat cookie dough. I know it’s hard not to, but the final result tastes much better, don’t you think?). Now, you drop about 1 tablespoon of the batter at a time to form the pancakes in the pan. Of course, you could go bigger or smaller, it’s entirely up to you. The key is to flip them over when bubbles appear on the surface. So keep an eye out. This is how they look on the cooked side. My phone can’t handle early morning winter photos of food. But I felt like a step-by-step is needed, as many recipes out there don’t have the process, just the ingredients and the story. Below are some proper professional photos of the end result, that you probably look for as proof they are in fact edible. As for the exact quantities and a recap of the whole process, scroll down and find the recipe card. 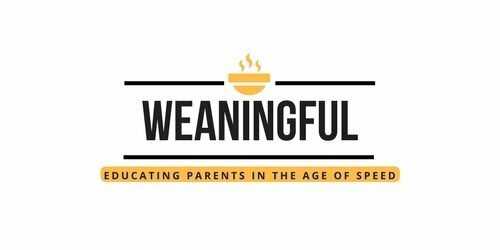 You might wonder a couple of things about these baby led weaning pancakes. Yes. Let them cool down (duh!) and pop them in the freezer for safekeeping and lazy mornings. Heat up in the microwave or oven. 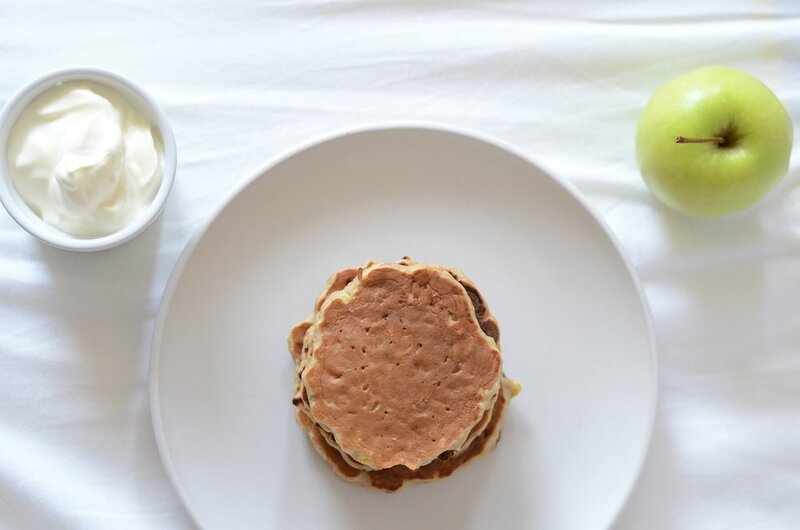 Are these pancakes great the next day? Yes, not as fresh, obviously, but still ok. 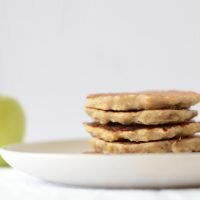 The banana and apple makes them a bit moist. But not underdone. The egg cooks fast, just so you know. So they’re cooked properly, it’s the fruit that makes them so. Bananas should be jailed for this. 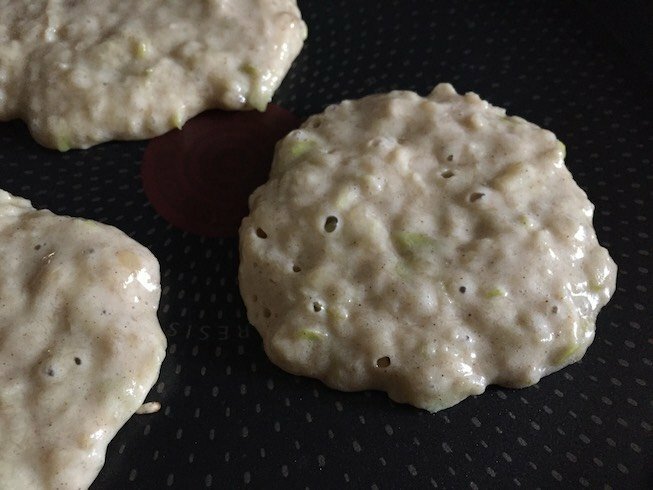 Can I make these baby pancakes gluten free? Sure, you can substitute the flour with a gluten free one. Should be ok in the end. If not, drop me a line and I’ll redo the recipe, see what needs to be changed. Baby is allergic to egg. What do I do? Hope this answers most of the questions. If you have a different question, pop it in the comments and I’ll do my best to reply. If you want to give this recipe a try, why don’t you pin it for later reference or share it on social media? I would really appreciate it if you took a moment to do so. 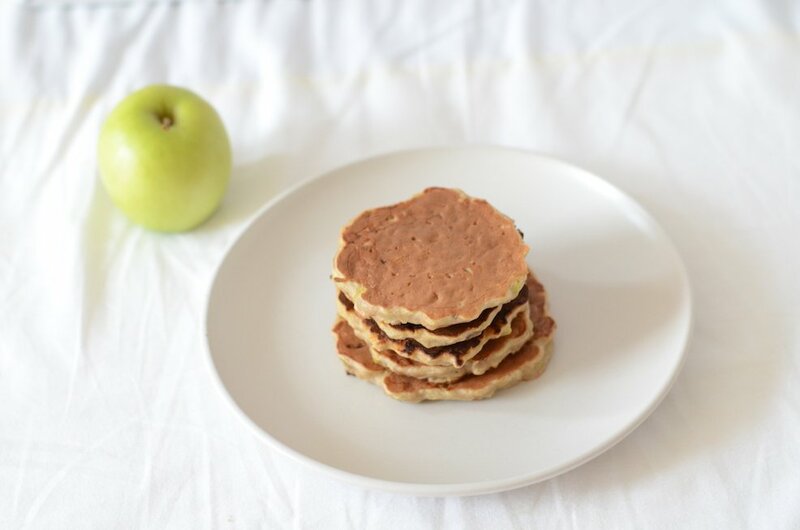 Pancakes are one of the top first foods that babies can’t say no to. Want to find out what are the other 5? 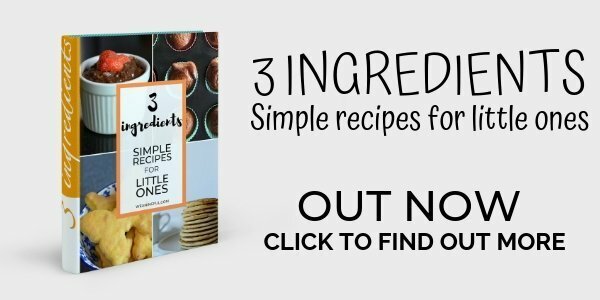 Then download my FREE ebook, which will teach you how to prep these top foods quick and using accessible ingredients. 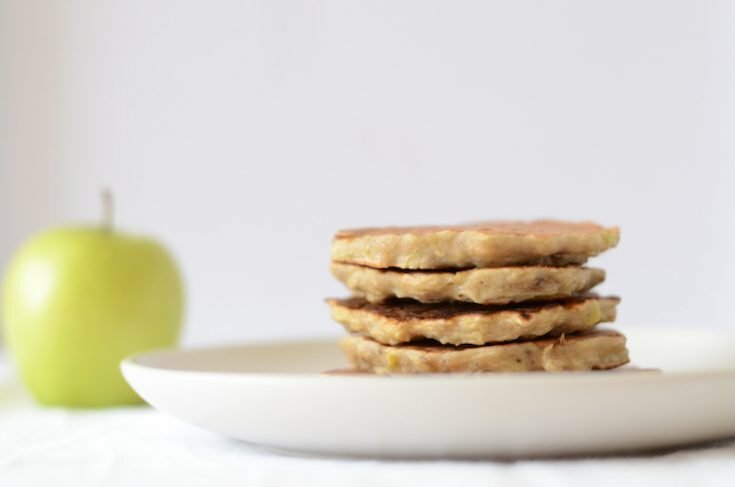 The 5 ingredient healthy baby pancakes recipe to make over and over again for your baby or toddler. Makes a great finger food and a nutritious breakfast at the same time. In a bowl, mix the flour and cinnamon. 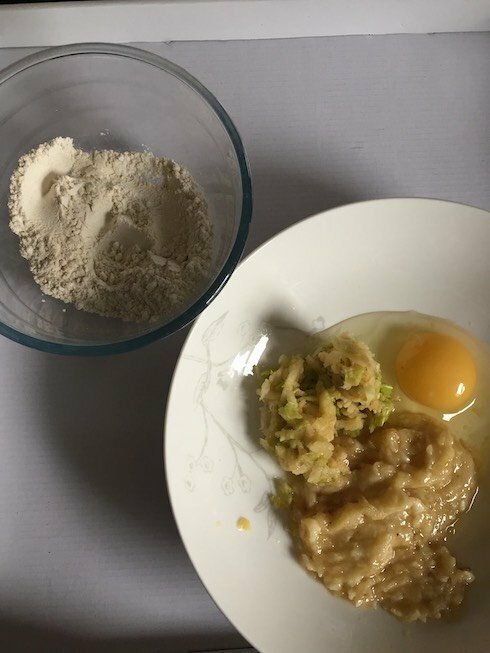 In another bowl, beat the egg and mix with the mashed banana and grated apple. Bring the two mixtures together to form a thick batter. Drop tablespoons of the batter into a non-stick pan, over low heat. Cook for 2-3 minutes. Flip when tiny bubbles begin to form on the surface. Cook for another 2-3 minutes on the other side. Serve with yogurt or milk on the side. How long will these last in the fridge? Can you freeze them? Hi Katie! I’d say you can serve them the next day as well. Yes, they’re freezable. Hope your little one will like them! Probably a silly question but can you use old bananas? When mine start to go bad I freeze them, u I already gave a couple in hand. Hi Alexis! Haven’t tried with frozen ones… I would assume if they’re completely thawed, it should work. 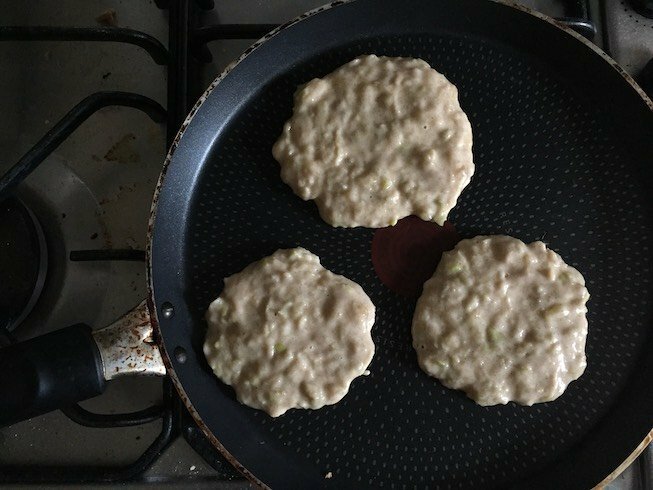 My son loves these pancakes, just curious can I substitute the flour for rolled Oates? Hi Lisa! Sure thing! That’s a great idea of an upgrade!